Battle for the Warsaw Ghetto! A successful messenger working in a town needed to know how to get through the ghetto fence and to disappear from the ranks of a guarded group of people. A rushed move could lead to death - it was necessary to be brave and to be able to make a quick decision in any situation. It was necessary to communicate with various people, it was paramount to avoid attracting attention by a false move or cause suspicion due an error in conversations. Even that was not enough. The most important thing was not to look like a Jew and to act accordingly. The ghetto organization selected and trained a group of messengers who answered those requirements. Thin, short, with light hare and blue eyes Monia Holzberg could easily be mistaken for a Lithuanian pupil. The organization charged him with searching for komsomol members who failed to evacuate and with whom he used to work in the school underground cell. His old friends - komsomol members - Mechis Zumeris and Vitautas Kaminskas were surprised and full of admiration: their Jewish friend was alive and dared to leave ghetto to perform a task. They passed news to the ghetto organization and also issues of Lithuanian newspaper "Tiesa"("Truth") which were thrown out of airplanes. Kaminskas was especially courageous and determined. He bravely attached yellow patches to his clothes and got into the ghetto where he met Haim Yelin and promised everyone to help the underground workers in any way he could. Brave lad Itzik Miklishansky escaped from the ghetto and spent a long time in villages Tabarishkes and Podiarishkes of Kovno district. Dressed as a village boy he worked for various farmers. They knew he was a Jew but his appearance and the way he worked were no different from other village boys and helped his new friends to hide him. Farmers liked him. His name was changed to sound Lithuanian - "Itzutis". Miklishansky hid with them for a long time. But he learned about a ghetto partisan group. He forgot his own safety and decide to join people's avengers. Itzik returned to the ghetto and joined the organization. On his comrades' orders he set up back up groups with his friends in the village. Partisans used them later when they moved from the ghetto to the forests of southern Lithuania. He also became well-known for his work as a messenger and a weapon supplier. Alta Boruchovich-Teper frequently met her friend, worker Maria Klossaite. Klossaite passes on geographic maps and information on the situation in the town and terror by the invaders. She said that eighty families from Shiaulu street were sent to a concentration camp in reprisal for some Soviet soldiers found hiding in that street. 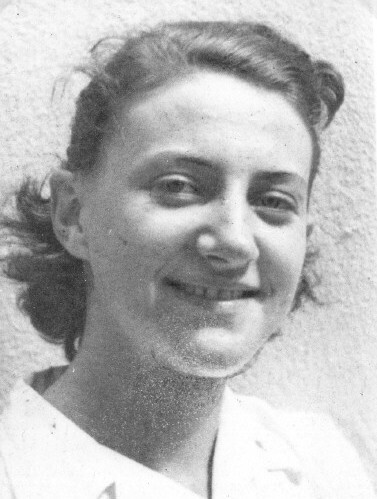 Klossaite was also persecuted but she continued coming to the ghetto fence and pass information to her friends. Numerous attempts were made to establish links with party organizations in Lithuania. Haim Yelin and Dmitry Galperin left ghetto and for a while lived in the town with false Lithuanian papers. They established contacts with anti-fascists - doctor Ye.Kutorghene, printer Antanas Rutkauskas, with Irena Vladimirova, I.Jukniavichus and others. All those people were ready to help the struggle. Doctor Kutorghene was especially kind to Haim Yelin. Yelin involved her in the work of the underground antifascist movement: she set up safe houses in the town, distributed antifascist literature, later helped partisans to find sources of weapon supplies. Every day I write down in my diary what happened to the Jews... Every week searches take place in my flat. I hide my notes. I write down everything... Death, fear, executions day and night and yet, in spite of it you all go into the town, live, bear up. How do you manage it?!" "How do we manage it?.. Later from a historical perspective the meaning of our optimism will become clear to everyone..."
The above mentioned Dr.Kutorghene's diary became one of the documents of the invasion period. After the liberation those notes were widely used to disclose the crimes of Kovno fascists. The very first days of the ghetto antifascist organization heralded a beginning of hard search, successes and failures. Yet friends were found outside ghetto too; bases were set up in the city without which the work of the organization could not achieve sufficient success. There were only individuals at the beginning. Better opportunity presented itself when a contact was established with Kovno antifascist underground movement. 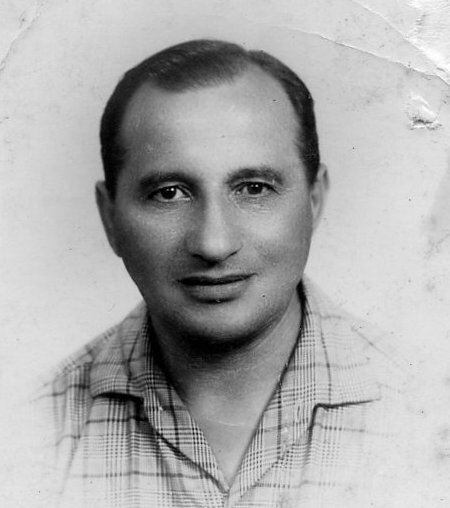 In March 1943, during a trip to the town one of ghetto messengers Jacov Davidov became close with tailor Vazlavos Tamoshaitis who lived at 192,Savanoriu avenue (*now Red Army avenue). The feeling of mutual trust made Tamoshaitis tell Davidov about the existence of Kovno antifascist organization, so called "Union of Struggle against fascism in Lithuania", from early 1943. The organization began a wide programme of sabotage in factories and plants, set up partisan groups, carried out a broad explanatory work among population. On his part Davidov told Tamoshaitis of the existence of an underground organization in the ghetto which shared aims with Kovno one. After the two messengers had informed their leaders a decision was reached for the leadership to meet in order to set out a plan for cooperation. Haim Yelin left the ghetto for the town to participate in the banned May Day celebrations. The meeting took place in the flat of Mikas Kiaupa in Archivo street. It looked like other flats from the outside but inside there was an atmosphere of celebration; this was done in spite of German soldiers in their green coats walking the streets, when one could hear constant sound of soldier's boots coming from the outside. The gathered sat round a radio and listened to a broadcast coming from Moscow. A sense of joy was shared by everyone when Supreme Commander-in- Chief's order was read out. Leader's words were directed to all Soviet people including those who temporarily lived under fascist aggressors' rule. This speech inspired Soviet people who lived in the occupied territory to join the struggle for liberation. After the celebration a smaller meeting took place. Only then members were told that a new comrade known as Vladas (this was Haim Yelin) was a Jew. They were surprised to hear that Soviet patriots joined the fight against enemy even in the harshest conditions of the ghetto. The gathered exchanged their information. After confirming the fact that the aims of their organizations were the same the participants proposed cooperation. Representatives of both organizations would meet to discuss current issues not less than once a week. Vazlav Tamoshaitis was appointed a messenger for the city organization and Dmitry Gal'perin for the ghetto.Meetings took place by the river Neris not far from the ghetto fence. Tamoshaitis got there by boat. Gal'perin climbed through the wire fence. Messengers exchanged information about acts of sabotage. Political literature - leaflets, banned periodicals "Kova" ("Struggle"), newspaper "Tiesa" ("Truth"), "Taribu Lietuva" ("Soviet Lithuania") arriving "by air" - were taken to the ghetto... Stamps and seals, linoleum strips for leaflet printing and also a small printing press which was stolen by member Moishe Museslis from Germans were given to the city organization. Primary task for both organizations was to set up a partisan group near Kovno in the forests of Betigal district. In an arranged place they built several dug-outs and stocked up on weapons. It was decided that the core of the group would be made up of Soviet military prisoners of war who had escaped from camps: their further presence in the town was not possible. Several Lithuanians wanted by the gestapo left with the same group. Ghetto organization was active in supplying the group with necessary equipment. So bandoliers, belts, boots, greatcoats, underwear were stolen from German storehouses. The created partisan group was named "Piargale" ("Victory"). First group carried out all ground work to prepare for a big group of partisans from the city and the ghetto. The second gruopwas getting ready to leave for the forest. Meanwhile a confrontation took place between group "Piargale" and police troops whose numbers were overwhelming. Group's commander "George" and his deputy died in the battle (*it has now come to light that the commander was a former Soviet Army officer, son of sunny Georgia, Georgy Dvaladze). The first unsuccessful attempt of setting up a partisan group near Kovno did not undermine determination of the underground leadership. Construction of a new base in the forests of Chiakishkskoi region strarted. But shortly after it became clear that small forests near Kovno could not be used as a safe cover for partisans. The new base was also discovered and a search for activists from the city and ghetto underground groups began. Some comrades managed to escape, but Mikas Kiaupa, Vazlovas Tamoshaitis, Ona Vaivadiene and others fell into gestapo hands and died. Tamoshaitis' wife was taken to gestapo for interrogation. She was tortured - her fingers were broken, teeth were drilled - they demanded the names of Jews who worked with her. No amount of torture could make this courageous woman betray her friends. A number of ghetto Jews from the organization who in a hasty move gave their real names during contacts with the city group were also searched for. They however managed to disappear in good time: the organization hid them in one of their bunkers. 2. BREAKOUT THROUGH THE GATE. Summer of 1943 was a trying period for the ghetto organization. A failure in the city had disastrously affected its work: valuable contact with the outside world was lost. Once again people had to rely only on their own strength, to be more secretive and discreet about their work. But the importance of the work did not diminish. Underground fighters put all their efforts into finding contact with partisans from Lithuanian forests. Scouting groups were sent in various directions with that aim in mind. People performing those tasks were facing constant danger. But in spite of that there was a sufficient number of people who wanted to work in those groups. They wanted to find a way for other group members to join partisan groups. On August 5 a group of five very brave people left the ghetto. Two from that group were sector leaders. Israel Milshtein, young,strong metal worker, one of the first and active ghetto underground fighters, was chosen to head the group. He listened to the order to depart with great enthusiasm; he looked forward to leaving the ghetto and start acting for the organization. His mother knew about his work; she said farewell to her only son who was leaving for an extremely dangerous operation. The partisan's mother joined the work of the resistance movement: secret meetings took place in her tiny room. Israel Milshtein headed the departure of the following ghetto residents:section leader Zalel Iofe, excellent messenger of the organization Jasha Davydov, brave cheerful lad Moshe Slaviansky whose keenness of wit caused a lot of damage to Germans, and calm but courageous member of the organization Meer Teitl'. These fighters had to look for partisans in the forests of eastern Lithuania. The group was armed with revolvers and hand grenades, had maps and compasses and fully prepared for a lengthy trip. Three weeks later another group left in southerly direction with the same aim. Aron Vilenchuk headed the new group. Partisans carried out reconnaissance in the forests around Eznas. At the beginning of September three reconnoitrers, Motl Lipkovich, Motl Stern and Zalmen Borodavka left the ghetto. The group left in the direction of Ukmiarge. The young reconnoitrers came upon some policemen and died between Ionava and Ukmiarge. At the same time individual members of the organization went reconnoitring. Hona Padison penetrated areas over Ionava. Girsh Gutman went scouting in the district of Garliava-Maurchiay.But all those brave attempts to establish contact with partisans failed to bring results. Courageous fighters die or disappear without a trace. Gestapo was active in the city. Underground fighters from the city organization languished in the gestapo basement. Germans put all their efforts into finding links to the organization. In that charged atmosphere a number of ghetto prisoners doing forced labour sent out a word that a certain person appeared in the city asking questions about "writer Haim Yelin" with whom he wished to meet. The leadership of the organization interpreted the appearance of this man as a consequence of failures in the city. Hence the original decision was to make no contact. But the mysterious man in his quest for contact with Haim Yelin had an unexpected meeting with ghetto organization member Jankel Levi. The partisan recognized him, they both were imprisoned in a concentration camp for political prisoners in bourgeois Lithuania. Even though the two had not met since, the organization decided to organize the meeting. On September 14 Dmitry Gal'perin met the mysterious person in a small loft room on Kiastutis street. Haim Yelin and Moishe Muselis, ready to help with their weapons in case of a provocation, hid in a nearby secret room. The stranger gave his name as Juozas Tubialis, messenger for Vilno underground organization. According to him it was not his first visit to Kovno but he was unsuccessful in his attempts to establish a contact with the city organization. Finally, he was ordered to find a contact with former Soviet activists who by then were incarcerated in Kovno ghetto, primarily with Haim Yelin. -I have a feeling I am on the right track. I may be able to deserve your complete trust when I present some firm proof! The next morning Tubialis was again in Kovno. From Vilno he brought a letter addressed to comrade Levi and signed with letter G. Through a number of signs and hints comrades recognized the author of the letter - Gesia Gleser, famous trusted underground worker of bourgeois Lithuania - "Albina". Tiabulis was able to add that the letter was written by an underground worker who was sent to work there. "Albina" demanded that an important member should come to Vilno to receive instructions and orders. The Committee of the ghetto organization sent Yelin to do this important task. This trip to Vilno presented Haim Yelin with a dangerous task: to avoid being recognized as a Jew by numerous German guards. In Vilno Yelin was put in touch with Albina. The next day they both left for a partisan base in Rudnizky forest. In partisan groups "For Motherland" and "Struggle" Haim Yelin attended theoretical and practical courses, participated in military operations: destruction of a German garrison in Varena, blowing up of a bridge across river Miarkis. Having received instructions for further work Haim Yelin returned to Kovno two weeks later. The leadership of the organization were looking forward to his return. On his arrival the work was renewed with fresh enthusiasm: all efforts were directed at achieving one aim - to take as many fighters as possible to the partisans. 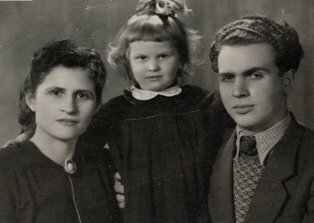 Shortly after Yelin's return Albina arrived in the city to work as an instructor of the Southern committee of the Lithuanian Communist Party. She established contacts with the ghetto organization and expressed a wish to find out more about their underground work. Haim Yelin met Albina in the city.Their next meeting had to take place in the ghetto. Albina successfully got through the ghetto gates after she had put a yellow star of David on her front and back and carried traditional Jewish luggage,a sack, and a tin of poor woman's food. During her long work as an underground activist she learned how to disguise herself. With the help of this skill she penetrated the ghetto, masterfully avoided being checked at the gates and brought her personal weapon - her "trusted companion" as she called her revolver. In the ghetto Albina met only members of the ghetto committee but even in this circle of friends she was remembered by some for her previous work. In bourgeois Lithuania Albina spent many years behind a prison wall and in a concentration camp. But even iron bars could not stop her revolutionary work. while imprisoned in Ukmiarg she managed to hang a red flag over the prison wall to celebrate May 1. The flag was so cleverly hung up that the prison administration unable to take it off themselves were forced to call for help from fire fighters. Both in prison and at large Albina spent a lot of time educating young people in whom she had a special interest. Pavel Korchaghin was her favourite character, she always talked about him as a model for the young. Her favourite song was "Eaglet" - lyrical and at the same time arousing fighting spirit. Albina sang the song in all situations; sang it herself and taught the others. No committee meeting of the ghetto organization used to be so invigorating before Albina joined them. They at last achieved what they wanted from day one, what cost them so many lives of their friends - they at last had the opportunity to fight invaders under direct party leadership. In a solemn occasion the party messenger shook hands of committee members thanking them for setting the organization and their work. This took place in a safe one-room flat at 10 Vidurine street. In a sign of the party approval of the underground work Albina presented them with a revolver.A motion was passed unanimously to present the revolver to Haim Yelin. As far as the future plan of action was concerned the organization committee was ordered to do party and mass work in the ghetto. The primary task for the ghetto organization was always taking partisans to the forests. This issue was discussed for a long time. A decision was reached which was supported by Albina - to set up a partisan base in the forests of southern Lithuania, more precisely in August forest, 160 kilometres from Kovno. With Albina's help the organization succeeded in making a contact with Leiba Solomin ("Petrovich"), CC CP of Lithuania messenger, who was sent with that purpose to enemy's side. (* comrade Solomin was a secretary of Kovno district party committee. He started very active partisan work in Ionava, Karmelava, Vandjiogal and other districts). This contact was highly appreciated by the underground workers who sent their representative, member of the organization committee Mary Lan to meet him at his Ionava base. Mary Lan fought her way through to get there and joined comrade Solomin's group of activists. However, the contact with Mary Lan was soon lost for a considerable length of time. At the meetings when Albina was present, questions of komsomol activity, propaganda work, weapon acquisition,cooperation with the city organization were discussed. On Albina's request Moishe Levi, one of ghetto Jewish police inspectors was invited for a talk. Levi already then was using the ghetto administration to help the organization. Due to Albina's influence Moishe Levi increased his help to the organization. Fascists were continuously attacked at the front. After each new defeat fascists aired their anger on residents of the occupied territory: they increased their terror, took able-bodied people to Germany for forced labour, arrested people and executed them. After their defeat in Stalingrad Germans planned to mark their two day mourning with new rivers of blood. In Kovno hundreds of people were captured and shot, a sizeable "action" against half-Jews (children of mixed marriages) was carried out, as well as against non-Jews married to Jews. 60 families were taken in black cars by brutal fascists to the 9th fort... When Lithuania found itself nearer the front line the regime in the ghetto and the city became even harsher. Vilno ghetto was already eliminated. From October 1, 1943 Kovno ghetto was formally considered to be eliminated as well. The ghetto was turned into a concentration camp and in all official documents referred to as "Kovno concentration camp" thus passing from the control of the gestapo into the control of the SS. This change in its status lead to the changes in the lives of Jews. The ghetto territory was considerably down sized, the regime became stricter, they began taking people to labour camps situated in Kovno suburbs of Aleksotas and Shanchiai, in small towns of Kedainiai, Kaishiadoris and other places. After settling in Kovno, Goeke took the command of all Jewish camps in Lithuania - concentration camps "Kailis" and "GKP" which survived Vilno ghetto elimination, Shiauliai ghetto and others. Goeke's residence and that of his headquarters were set in a specially fenced off and guarded area of Kovno ghetto. His assistants - sturmfuerer Rink, unterscharfuere Pilgrem, Fiviger and others were always in the ghetto, studying the situation. Due to the existing situation the underground fighters decided that groups prepared by the organization for departure to the forest should do it as soon as possible. Even though there was no possibility to arm them properly and they would have to make their way without guides. Four days after Albina's departure, a group of twenty four men headed by communist Leiser Zodikov left for southern Lithuania on a previously planned journey. With the help of trusted people from the ghetto administration they managed to obtain three carriages and false documents according to which it was a group of Jewish workers being taken for out-of-town work. And so the group left the ghetto. Twenty kilometres from Kovno the group began their march. But the partisans found themselves in a German trap. The group dispersed. Several days later many of the pursued had to return to the ghetto. But some managed to continue their journey; doctor and communist Shloime Perelshtein and his friends moved on. They looked for a possibility to get to a partisan base but died. A few days later a terrible event occurred in the ghetto: on October 26 Germans captured over three thousand people. They were sent to concentration camps in Estonia. The organization succeeded in hiding its members and sympathizers. It was expected that after the first group more groups would be sent to concentration camps. The organization was faced with a task of sending large groups to the forests. In the next few days three to four groups left the ghetto daily. To achieve that various ways of leaving the ghetto were used: the ghetto gates, "raisferschlus" in the fence, bribing of the guards, escaping from work places. Each group had several pre-planned routes. About one hundred fighters had left the ghetto by October 31. More partisans were waiting for the order to leave. On their way to the forest the partisans met police groups. This meeting lead to losses of human lives. Kadish Goldfarb died when crossing the guarded bridge at the river Esia. 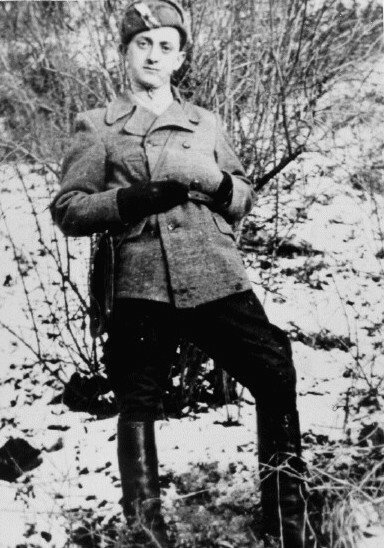 Commander of the first group Meer Salinger, Berl Levin and others died in a fight with Germans on the road from Kovno to Mariampole (* now Kapsukas). German guards pursued Jews, organized round-ups, systematically patrolled roads. Only a small group of partisans managed to break through. Group commander Nechemia Endlin and his friend Shmuel Martkovsky reached their place of destination near lake Brujhana after overcoming all difficulties. Over forty partisans fell into fascists' hands. But the Germans failed to succeed in their various attempts to extract any information from them about the organization and their departures for the forest. We must mention the names of our friends tortured to death by the Germans: Moishe Rojansky, komsomol member Itzik Kirkel, former director of publishing house "Spartak" Bonia Meskup, metal worker Haim Viruzky, Velvel Shuster, Girsh Gen, Leo Seeman, Ruvim Zweig, Iosel Hodos and others. Messengers brought information about traps on the roads and the tragic deaths of the departed to the ghetto. The organization had to suspend temporarily further departures in that direction. However,the leadership did not lose its spirits; their conviction that they would overcome all difficulties did not diminish. The special order to all organization members read, "We have no right to feel down, to be afraid of difficulties and losses. We must find new ways and we will achieve this. Our strong bolshevik willpower and resoluteness to fight our enemy openly will lead us to success." The organization began setting up bases near Kovno simultaneously with its marches to August forests. They planned for some of their fighters to gather in bases after getting through the ghetto fence in order to form groups for joining partisans.In those bases they planned to have weapons and other means of armed struggle for partisans. Main bases were to be set up near Murava, Zapishkis, Garliava. Soon after Albina's arrival from a partisan base in Rudnizky forest (30 km south of Vilno) paratrooper Konstantin Radionov arrived in Kovno to head a partisan group. At the partisan base Haim Yelin arranged to meet Radionov in Kovno suburb of Murava where Radionov began to organize an underground group to fight the invaders. Activists of this underground organization Romas Kulvinskas ("Romka"), Foma Terent'iev and others made a contact with the ghetto resistance movement, and Radionov with a few of his friends returned to Rudnizky forest to set up partisan group "Death to Invaders". People who stayed in Murava built dug-outs in the forest between Murava and Vaistarishkes to keep weapons and give shelter to those who needed it. Though the ghetto organization was mainly concerned with sending the people to the forests of southern Lithuania the members also actively participated in setting up bases near Murava. Many underground fighters including Haim Yelin worked hard there. Murava became the main base for weapon gathering operations in the forests around Kaishiadoris. One of such operations took place from 14 to 15 of November when the house of Kaishiadoris forester, German agent terrorising local population, was attacked. Ghetto organization members Elia Olkin, Leiser Klebansky, Bernstein and others took part in this operation. In one night they had covered 30 kilometres. Having overcome forests and marshes people's avengers surrounded the forester's house and cut telephone wires. This fascists' lackey and his stooges got their just deserts, while the partisans got hold of a lot of weapons and ammunition. The fighters returned to Murava before dawn bringing with them rifles, bullets, pistols, radios. They hid it all in their dug-out. Later more weapons and other things required by the partisans were delivered from the ghetto. The organisation attempted to set up a base near Zapishkis, 16 kilometres from Kovno. A group of ghetto fighters, among them Jankel Levi, Itzik Boruchovich, Jankel Ratner, Jankel Holzman and others whose task it was to build new dug-outs left for Zapishkis forest. But when the first dug-out was almost finished they were found out by Germans. The partisans managed to make their escape in time. However, Germans became more vigilant in the area surrounding Zapishkis and the organization was forced to give up the idea of setting up a base there. At this time the leadership of the organization learned of a partisan group operating in Eznas area. Members of the ghetto organization - Moishe Pushkarnik and Jankel Birger, who were born there and knew the area well, left to do reconnaissance at the end of October.Their work lasted a month. With the help of some Jews hiding in that forest they managed to locate the partisans. From time to time partisan groups from Rudnizky forest under Juozas Mikuliavichus' leadership came here. The groups though did not stay there for any length of time. Pushkarnik and Birger succeeded in establishing a contact with partisans but they soon had to leave the area as they were pursued by police. On their return to the ghetto the scouts made a detailed report about their work and the gathered information. But because by then a direct line was established via Albina to the partisan leadership in Rudnizky forest, the organization decided against continuing their work in Eznas. While working on the translation of the book, the translator also used the book by M.Yelin and D.Ghelpern "Kovno ghetto and its fighters" (Kauno getas ir jo kovotojai, Mintis, Vilnius,1969) and numerous recollections of the events by the participants. This allowed the translator to enlarge the original text. The added commentary is marked with "*". On the other hand, it was considered acceptable to omit a number of more difficult and less significant passages (song lyrics, etc.). © 2011 H.E.A.R.T All Rights Reserved.